If you’ve ever felt the Earth Sciences are rather special then you’ve arrived at the right place. If you believe the Earth Sciences are entirely based upon robust science then you’ve arrived at the wrong place and you should seek a safe space elsewhere. Back in 1976 Leona Libby documented the relationship between temperature and δ18O (Pee Dee Belemnite) ‰ values in German Oak. A fall in δ18O (PDB) ‰ values is associated with a fall in temperatures. A fall in δ18O (PDB) ‰ values is linked to a fall in temperatures. However, way back in 1953 the awfully clever Epstein et al created a formula that turns the natural world upside-down by defining an non-linear inverse relationship between δ18O values and temperature for calcium carbonate between 9° C and 29° C.
This awfully clever formula mimics “inorganically precipitated calcium carbonate”. A fall in δ18O (PDB) ‰ values is linked to a rise in temperatures. where δ is the difference in per mil of the Osup>18 to Osup>16 ratio between the sample and reference gas. The new relationship agrees with that determined by McCrea (1950) for inorganically precipitated calcium carbonate. Carbonate-carbon dioxide exchange experiments were done to determine the direct and indirect effects of organic matter in the shell on the mass spectrometer analyses. Epstein, S.; Buchsbaum, R.; Lowenstam, H.; Urey, H. (1953). “Revised carbonate-water isotopic temperature scale”. Geol. Soc. Am. Bull. 64: 1315–1325. This [upside-down] inverse relationship is [indirectly] applied to “sediment cores”. And, of course, this [upside-down] inverse relationship is also deployed in “climate change”. It’s only by employing this [upside-down] inverse relationship that the mainstream has been able to conjure up the Last Ice Age, Quaternary Glaciation and the current Holocene Interglacial. The Quaternary glaciation, also known as the Quaternary Ice Age or Pleistocene glaciation, is a series of glacial events separated by interglacial events during the Quaternary period from 2.58 Ma (million years ago) to present. An interglacial period (or alternatively interglacial, interglaciation) is a geological interval of warmer global average temperature lasting thousands of years that separates consecutive glacial periods within an ice age. The current Holocene interglacial began at the end of the Pleistocene, about 11,700 years ago. So what happens to the “climate change” narrative if the measurements from the Greenland GRIP drill site really define the relationship between δ18O values and temperature? Firstly, it means the “sediment cores” used to create the last “five million years of Climate Change” were deposited in Ptolemy’s “burning” zone. According to Ptolemy, the best recognized authority, whose geography had stood the test of thirteen hundred years, the then known world was a strip of some seventy degrees wide, mostly north of the equator, with Cadiz on the west, and farthest India or Cathay on the east, lying between the frozen and burning zones, both impassable by man. 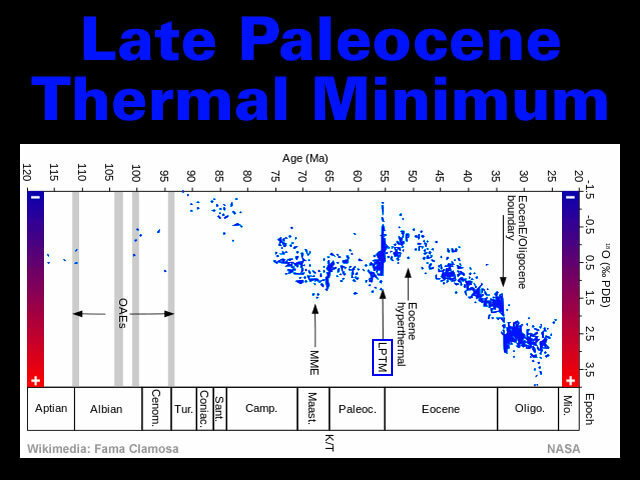 Secondly, it really confuses the Late Paleocene Thermal Maximum. The ooze from the Maud Rise [about 450 kilometres from Antarctica] ironically includes an anomalous Late Paleocene Thermal Minimum while the ooze from the Shatsky Rise in the North Pacific [East of Japan] displays an anomalous upward spike in temperatures. These cores also provide [more detailed] support for Ptolemy’s “burning” zone. I’m grateful to Louis Hissink for introducing me to another wonderful can of worms that’s called [amongst other things] the Late Paleocene Thermal Maximum when temperatures are said to have been warmer by about 8 °C for [roughly] 200,000 years about 55.5 million years ago. Overall, it’s very clear the relationship between δ18O (PDB) ‰ values and temperature influences our perspective on the past. The inorganic quadratic interpretation reveals Ice Ages and Interglacials. The linear Greenland interpretation reveals a “burning” zone in the Southern Hemisphere. Personally, I favour the linear approach. But [as always] readers should review the evidence and draw their own conclusions. A coccolithophore (or coccolithophorid, from the adjectiveis a unicellular, eukaryotic phytoplankton (alga). They belong either to the kingdom Protista, according to Robert Whittaker’s Five kingdom classification, or clade Hacrobia, according to the newer biological classification system. Within the Hacrobia, the coccolithophorids are in the phylum or division Haptophyta, class Prymnesiophyceae (or Coccolithophyceae). Coccolithophorids are distinguished by special calcium carbonate plates (or scales) of uncertain function called coccoliths, which are also important microfossils. However, there are Prymnesiophyceae species lacking coccoliths (e.g. 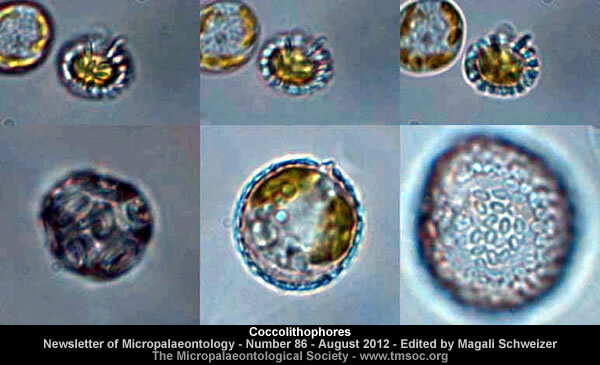 in genus Prymnesium), so not every member of Prymnesiophyceae is coccolithophorid. Coccolithophores are almost exclusively marine and are found in large numbers throughout the sunlight zone of the ocean. 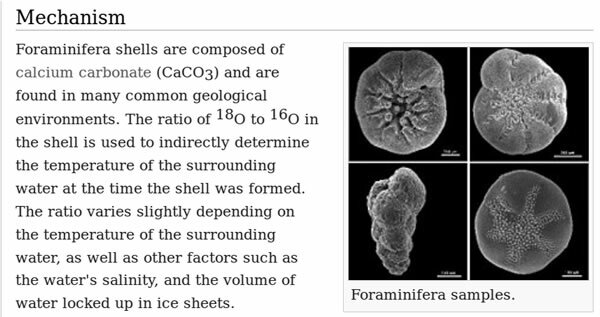 Foraminifera (Latin for “hole bearers”; informally called “forams”) are members of a phylum or class of amoeboid protists characterized by streaming granular ectoplasm for catching food and other uses; and commonly an external shell (called a “test”) of diverse forms and materials. Tests of chitin (found in some simple genera, and Textularia in particular) are believed to be the most primitive type. 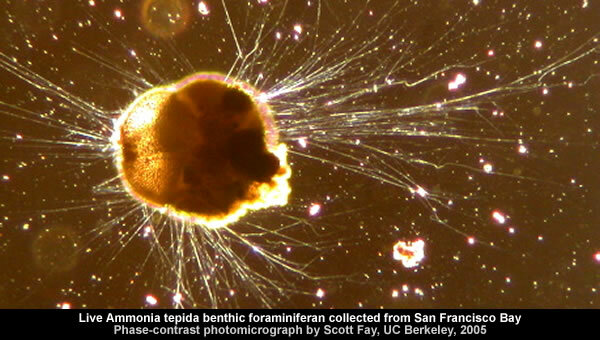 Most foraminifera are marine, the majority of which live on or within the seafloor sediment (i.e., are benthic), while a smaller variety float in the water column at various depths (i.e., are planktonic). Foraminifera typically produce a test, or shell, which can have either one or multiple chambers, some becoming quite elaborate in structure. These shells are commonly made of calcium carbonate (CaCO3) or agglutinated sediment particles. Over 50,000 species are recognized, both living (10,000) and fossil (40,000). Gallery | This entry was posted in Arabian Horizon, Atmospheric Science, Dendrochronology, Earth, Geology, Glaciology, Greenland, Old Japanese Cedar Tree, Science, Uniformitarianism. Bookmark the permalink. This is a fascinating subject Tim . These coccoliths make up the chalk formation in southern England and northern France and the mainstream view is that they represent seabed accummulation over millions of years of time (virtually the whole alotted time of the Cretaceous period). Interestingly, the Cretaceous comes to an end with the K/T boundary event (wiping out the dinosaurs etc). As I understand it (after going to a talk on the subject of HS2 tunnelling through the chalk of the Chilterns) there are three main deposits – the Lower, Middle and Upper chalk layers. There are new names given to these layers but I prefer the older names as they are simpler and easier to remember. Each of these layers are separated by a hard chalk deposit (one being the Totternhoe chalk stone exploited by the Romans and medieval church masons). These are thought to represent former sea beds as they contain holes left behind by burrowing sea creatures and the odd fossil etc. My mind can get round this basic layout – three seperate events of some kind, but when it comes to the pristine white stuff between each layer (above the hard chalk) my facullties become somewhat stretched. This is pristine white stuff – especially in the Middle and Upper chalk layers. Can this really have been laid down over millions and millions of years without at least getting a tiny bit dirty – after all it is supposed to be seabed sediments (dominated by coccoliths). There are of course flints in the chalk – which is another mystery (as they originate it is thought from a silica ooze of some kind that occasionally wrapped itself around creatures such as sponges etc). Chalk is the bigger mystery – and its extreme whiteness. Could it have been laid down more quickly – by planktonic blooms for example – but what would cause massive planktonic blooms? The asteroid strike? Question: Isn’t the supposed asteroid strike be the cause of the ‘black mat’? Aren’t asteroid strikes the cause of Black Earth Layers, ‘Black Mats‘, Black Mudstone Layers, Black Shale Layers and Vitrified Stonework? Here’s an answer based upon an analysis of the Selli Level at Gorgo a Cerbara, central Italy. Highly variable Os/Ir ratios that are uncorrelated with (187Os/188 Os)t can only be reconciled with an extraterrestrial impact hypothesis in the case of a PGE-poor (achondritic) impactor. An extraterrestrial trigger for the Early Cretaceous massive volcanism? I very much agree with that sentiment! The transformation of “ooze” into “chalk” is meant to be caused by the “weight of overlying sediments”. Ninety million years ago what is now the chalk downland of Northern Europe was ooze accumulating at the bottom of a great sea. Chalk was one of the earliest rocks made up of microscopic particles to be studied under the microscope, when it was found to be composed almost entirely of coccoliths. Their shells were made of calcite extracted from the rich sea-water. As they died, a substantial layer gradually built up over millions of years and, through the weight of overlying sediments, eventually became consolidated into rock. Unfortunately, this assertion requires a magic mass formula to explain away the different thickness of ooze overlying chalk. I wonder if the transformation of “ooze” into “chalk” involves being “air dried” and “sun baked”. I also find it fascinating that the mainstream appears to employ an inverse relationship between δ18O values and temperature that’s valid between 9° C and 29° C.
Especially when the maximum surface temperature associated with Polar Oceans is 9° C.
It appears the “ooze” clogged drainage channels before being transformed into “chalk”. … the continued subsidence of the continental shelf caused the pooled raw chalk to inundate large areas of East Anglia, South East England and appears to have even flowed through a gorge that crossed the Isle of Wight. “Burrowing Sea Creatures” or “Hydrothermal Chimneys”? The debris from an iron bolide is a good candidate in the Southern Ocean. A quick reply: My very ‘dry’ question above was meant to hint/link with the very important observation made by Carol in the first post. That the chalk is so pristine in its whiteness. Usually disturbances in sediments, from whatever source, are evident by the mix of sediment ‘ingredients’ – turbidite-. In another post I have already linked to such an example ( source here: https://www.nature.com/articles/srep01285 ). The events that caused great salt deposits in the Med may be the mechanism that can also produce chalk in its pure form. Precipitation; from various reasons – oversaturation as from glacial buildup leaving oversaturated ‘inland’ sea, abrupt cooling, etc (just thinking aloud here)..
a) The transition of “ooze” to “chalk”. b) “Inorganically Precipitated” vs “Organically Acquired” vs “Volcanic” calcium carbonate. c) “Burrowing Sea Creatures” vs “Hydrothermal Chimneys”. d) The pristine whiteness of chalk. Curiously, black natrocarbonatite lava “begins to turn white within a few hours”. It seems that there has been a steady increase in the carbonatitic igneous activity through the Earth’s history, from the Archean eon to the present. Ol Doinyo Lengai, “Mountain of God” in the Maasai language, is an active volcano located in the Gregory Rift, south of Lake Natron within the Arusha Region of Tanzania, Africa. Part of the volcanic system of the East African Rift, it uniquely produces natrocarbonatite lava. 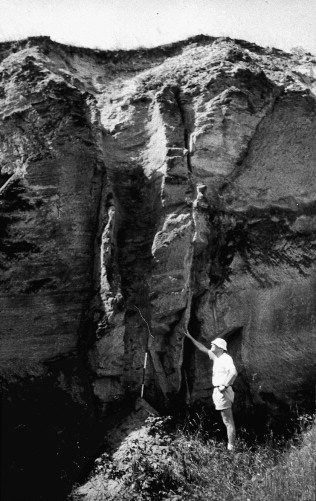 The 1960 eruption of Ol Doinyo Lengai led to geological investigations that finally confirmed the view that carbonatite rock is derived from magma. Whereas most lavas are rich in silicate minerals, the natrocarbonatite lavas of Ol Doinyo Lengai are rich in the rare sodium and potassium carbonate minerals, nyerereite and gregoryite. Due to this unusual composition, the lava is erupted at relatively low temperatures (approximately 500-600 °C). This temperature is so low that the molten lava appears black in sunlight, rather than having the red glow common to most lavas. It is also much more fluid than silicate lavas. The sodium and potassium carbonate minerals of the lavas erupted at Ol Doinyo Lengai are unstable at the Earth’s surface and susceptible to rapid weathering, the minerals are anhydrous and when they come into contact with the moisture of the atmosphere, they begin to react extremely quickly. The black or dark brown lava and ash erupted begins to turn white within a few hours. 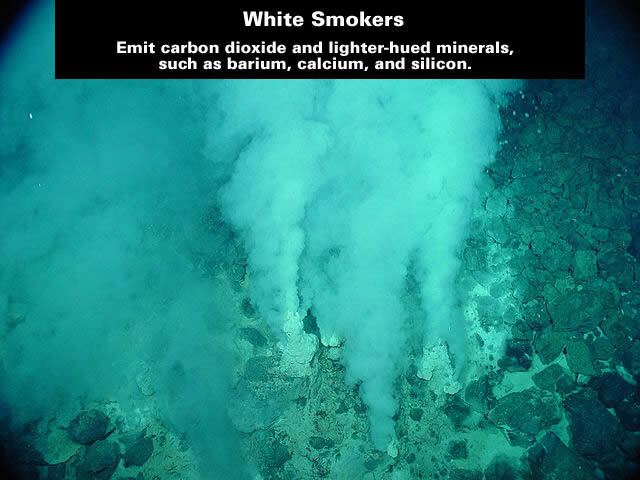 White smoker vents emit lighter-hued minerals, such as those containing barium, calcium and silicon. These vents also tend to have lower-temperature plumes probably because they are generally distant from their heat source. 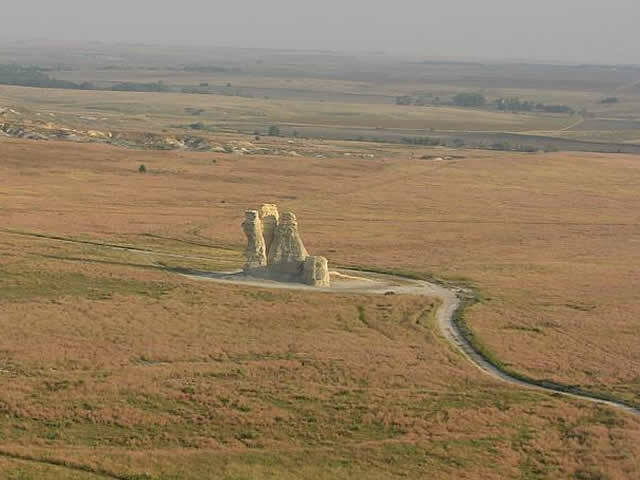 Mineralizing fluids from this type of vents are rich in calcium and theyform dominantly sulfate-rich (i.e., barite and anhydrite) and carbonate deposits. Reviewing the Settled Science and observation data is very important. Carbonitite extrusion into shallow seas replete with coccoliths might incorporate those ‘organic’ forms leading to the erroneous deduction that having organic remains in the carbonate matrix implies deposition over long periods of time. Like the continuing enigma of dolomite genesis, there is much not directly observed and hence only guessed at. And if one thinks with a limited number of ideas, this sort of restricts one’s ability to explicate, especially if one has been intellectually bush-wacked by the priestly class during youth. Dolomite has been extensively studied since it was described for the first time by French naturalist Deodalt de Dolemieu in 1791 (Hardie, 1987; Warren, 2000). It is the ubiquitous component of sedimentary strata from Precambrian to Cenozoic, but volumetrically less represented in younger strata (Given & Wilkinson, 1987; McKenzie, 1991 ). The major ambiguity of the dolomite formation mechanism is that recently formed dolomite has not yet been found, although “protodolomite” has been reported from Bahamas (Shinn et al., 1965) and Coorong lagoon of Australia (Von Der Borch and Jones, 1976). Stoichiometric dolomite has not yet been synthesized in the laboratory under normal temperature and pressure conditions, and also has not been found precipitated in modern lakes. Thus the question is still open, are all the dolomites formed by secondary replacement, or a part of them remains unchanged? The genetic models proposed for dolomite origin include at least 15 different hypotheses (Jiang, 2003). Therefore, the genesis of dolomite remains wide open and a subject of many sedimentary studies. Diabase or dolerite or microgabbro is a mafic, holocrystalline, subvolcanic rock equivalent to volcanic basalt or plutonic gabbro. Diabase normally has a fine, but visible texture of euhedral lath-shaped plagioclase crystals (62%) set in a finer matrix of clinopyroxene, typically augite (20–29%), with minor olivine (3% up to 12% in olivine diabase), magnetite (2%), and ilmenite (2%). Accessory and alteration minerals include hornblende, biotite, apatite, pyrrhotite, chalcopyrite, serpentine, chlorite, and calcite. Plagioclase is a series of tectosilicate (framework silicate) minerals within the feldspar group. Plagioclase is a major constituent mineral in the Earth’s crust, and… a major constituent of rock in the highlands of the Earth’s moon. A subvolcanic rock, also known as a hypabyssal rock, is an intrusive igneous rock that is emplaced at medium to shallow depths (>2 km) within the crust, and has intermediate grain size and often porphyritic texture between that of volcanic and plutonic rocks. Subvolcanic rocks include diabase (also known as dolerite) and porphyry. 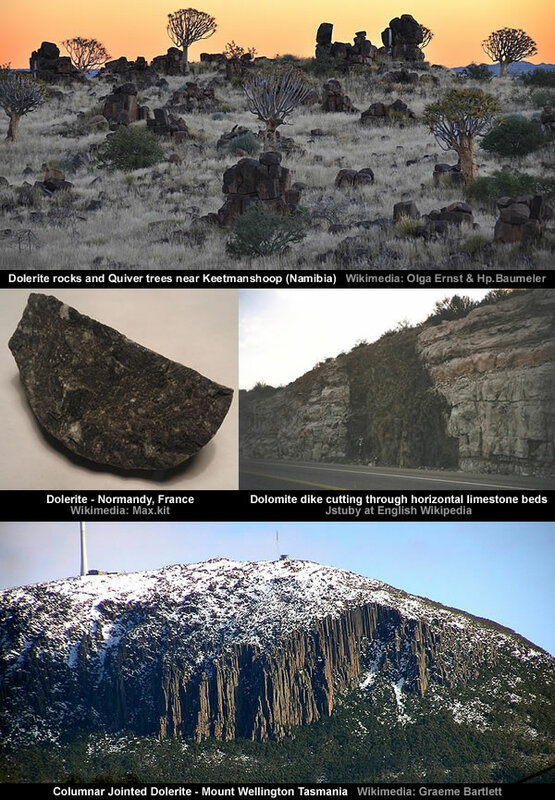 Dolerite is a very educational example. It’s said Dolerite is [amongst other things] a “subvolcanic rock” [equivalent to volcanic basalt or plutonic gabbro] that is “emplaced at medium to shallow depths (>2 km) within the crust”. In it’s turn a “subvolcanic rock” is described as an “intrusive igneous rock” that’s equivalent to an intrusive magmatic rock”. However, if Dolerite and Porphyry are only “emplaced at medium to shallow depths” then they are metamorphic rock. There is a fundamental problem with the academic trinity: igneous – metamorphic – sedimentary. The problem being all igneous rocks are probably metamorphic rocks… it just depends upon whether the ingredients have been baked or heated to melting point. I guess the mainstream mindset keeps the “igneous” classification alive as a magical magmatic portal to their theoretical [aka mythical] fluid outer core and flowing mantle. Unfortunately, this mysticism is not based upon observation information which it limited to [only] 12,262 metres deep at one site on the Kola peninsula. A quick comment re part quote ” mainstream “geology” into a mythical belief system that’s [sadly] set in stone…”. Perhaps the mortar should not be left to set, on this subject as well. There are geologists who are not content with what turns out to be evident dogma and strive to find real/factual answers. They are also making some headway too. In one particular subject I have some input, that of tectonic rotations, the link below makes clear the prevailing state. See: https://ejournals.epublishing.ekt.gr/index.php/geosociety/article/viewFile/11826/11865 – last three paragraphs in particular. Earth geology and tectonics in not my field. In other unrelated research I found ground rotations to be a recent reality. Unbelievable and inane sounding at first, it is turning out to be nature’s way of giving the earth an occasional ‘facelift’. So when Herodotus writes about the sun changing its place of rising and setting, now we have two options how that can be; earth tilt change or rotated tectonic micro-plate; – or both -. No, there is nothing settled. True, the academic world is often divorced from reality. Dolerites, or diabase in the US jargon, is an intrusive rock that feeds to flood basalts, and being deeper, takes longer to solidify and hence becomes coarser grained. But they don’t intrude into rock as more like filling tectonically opened fractures caused by some external forcing. Strata or bedded rocks can be defined as accumulations of matter in the fluid state at the Earth’s surface, and principally by the process of magnetohydrodynamics during periods of heightened tectonic activity (being obtuse here purposefully). Some granites are fused sediments, or strata that have been metamorphosed to melting state, and then when does igneous replace metamorphic. The other obstacle is lexicon – the dolerite-diabase confusion, for example. My editing of Russian scientific papers translated into English is another source of neologisms – and mistranslations from Russian to English. Bowels of the Earth is one typical phrase that is difficult to render into specific English. I usually try to imagine what the author might have been thinking when compiling the phrase, and then rendering it into English. I visited the De Beers Wessleton mine (RSA) underground and had the “contact aureole” of the kimberlite – wall rock interface pointed out to me. Kimberlite was essentially peridotite that melts at 1100 degrees C, and the contact-aureole or metamorphism, or heating effect, was 1 centimetre thick. The country rock was, from memory, sediments. Jaw dropping experience, and of course it was the adiabatic cooling effect of the associated CO2 that limited the metamorphism. The other factor was that the kimberlite did not punch its way upwards to the surface, but was exuded into the expanding space formed by the downward spiralling vortex as it drilled deeper into the crust from the surface. The only tectonic stress regime I can come up with is a localised expansion or doming, something the Russian kimberlites seem to be associated with. And of course the number of ideas past researchers used to describe reality has to be factored – if the only education you had was rote learning the Bible, then that limits your ability to describe observations. The other factor is the baleful influence social Darwinism had on 19th and 20th century Western civilisation. Much of geological thinking was based on imperial superiority. The struggle is caused by the uniformist axiom that no external forces are permitted in tectonics. Apparent rotation is then difficult to explain. Often rotation or plate movement is described in terms of magnetic pole wandering but then how is the geomagnetic field formed? And why should the Earth’s be considered dynamically immovable frond it preset orientation wrt ecliptic? Hilton Ratcliffe, the astrophysicist, agrees that when rotational motion is observed, think Birkeland currents. Surge mechanics also involves rotation, and then the Coriolis Effect is invoked; this effect is nonsense geologically, however but is alive an well in the academe of the mathematical matrix.